Memphis, TN was our next destination and the long drive down from St. Louis went smoothly, we arrived at Tom Sawyer’s RV Park by mid afternoon. The park was actually across the Mississippi River from Memphis in West Memphis, Arkansas so officially we were in our final state! (Alaska & Hawaii don’t count). 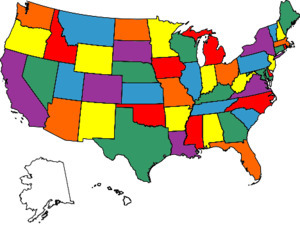 We have successfully driven and stayed in every state in the lower 48! Something we weren’t sure that we would actually accomplish, but pretty excited that we have done it! This park was pretty unique in that it was located across a levee right on the banks of the river with nonstop barge traffic going up and down the river in front of us. These barges were huge some of them 4 across and 7 long and that river was flowing! We really enjoyed the park and they were so friendly and laid back. I guess they have to be because the campground actually floods every year, but in the springtime, so we had nothing to worry about. We ended up staying for a full week with a nice mix of relaxation, sightseeing and getting chores done. First on the agenda was taking care of some MoHo maintenance. On the morning we left St. Louis, we noticed one of the “basement” compartments was wet. So upon arrival in Memphis, we took everything out from underneath and Mike was able to diagnose that our water pump was broken. Luckily, there was a nearby Camping World and we were able to get an appointment for Wed. morning. This gave us a chance to clean and reorganize the storage area, which I loved. The bad part was that we had to pack up/unhook the house in the middle of our stay and drive to the appointment about an hour away in northern Mississippi. Everything went smoothly and we were back to the campground and re-setup by mid afternoon. Just one of the hurdles of being on the road and honestly we have been pretty fortunate with these types of issues, nothing major (knock on wood!). Now, onto sightseeing. 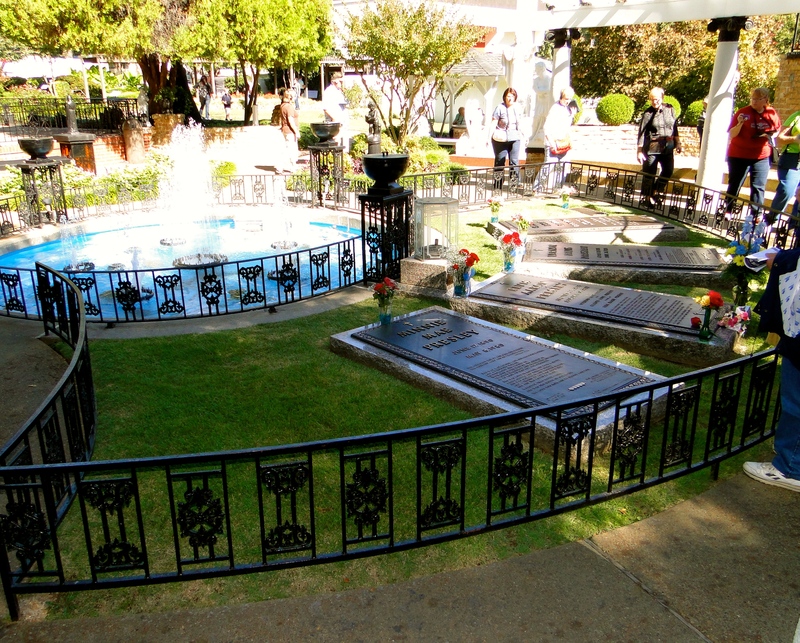 We are not huge Elvis fans, but we just had to go to Graceland. There were multiple packages to choose from, but we opted for a basic one and it was still $34 each, a bit pricey in my opinion. 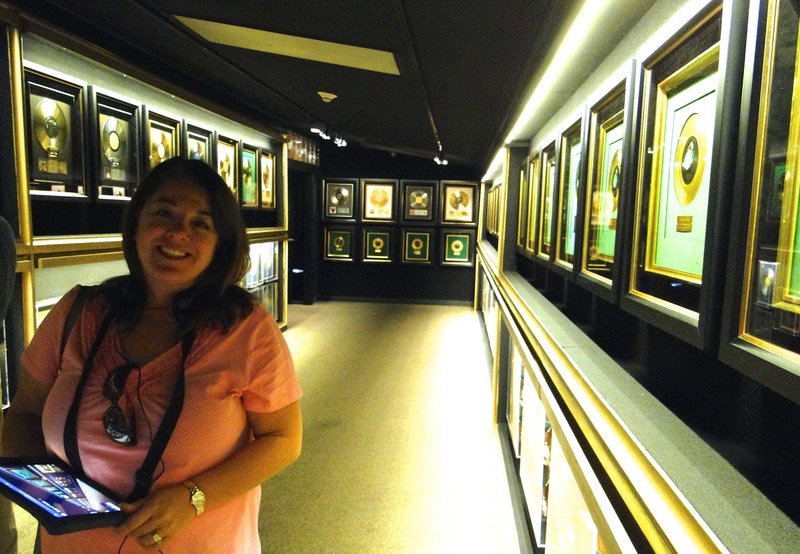 We were given ipads to use, loaded with a narrated tour and additional photos and factoids and of course Elvis music. 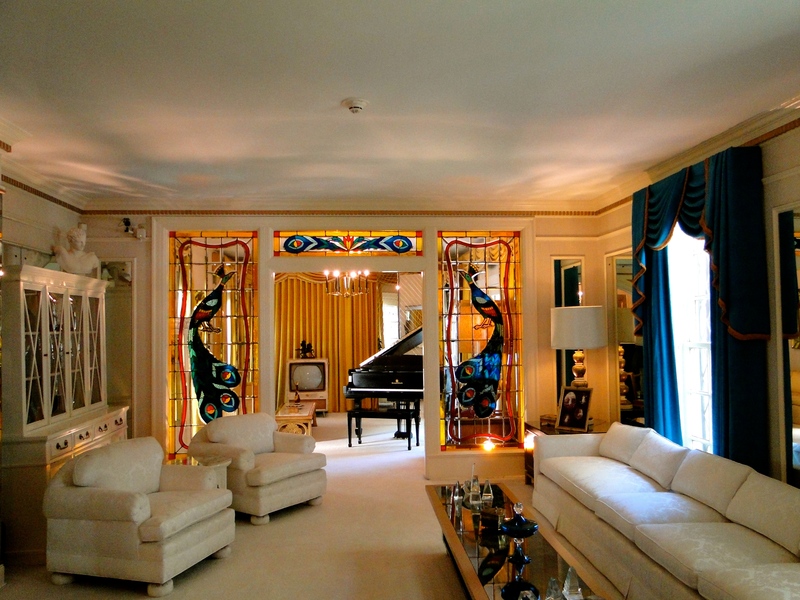 The mansion was actually much smaller than I would have thought, but back in the day I’m sure it was pretty extravagant. It was a bit crowded but we were able to see everything we needed. 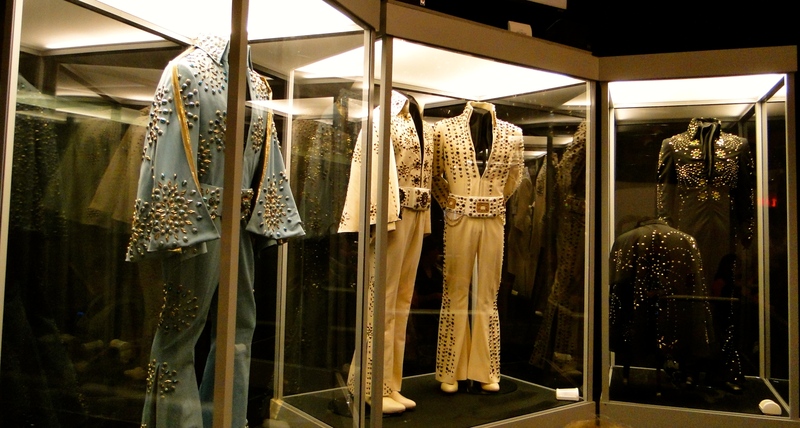 The rest of the tour (archives, shops, costumes, cars) were nothing special and we could have done without, but I guess if you are a huge Elvis fan, you would really want to do everything you could. As it was, we were there about 2 ½ hrs. 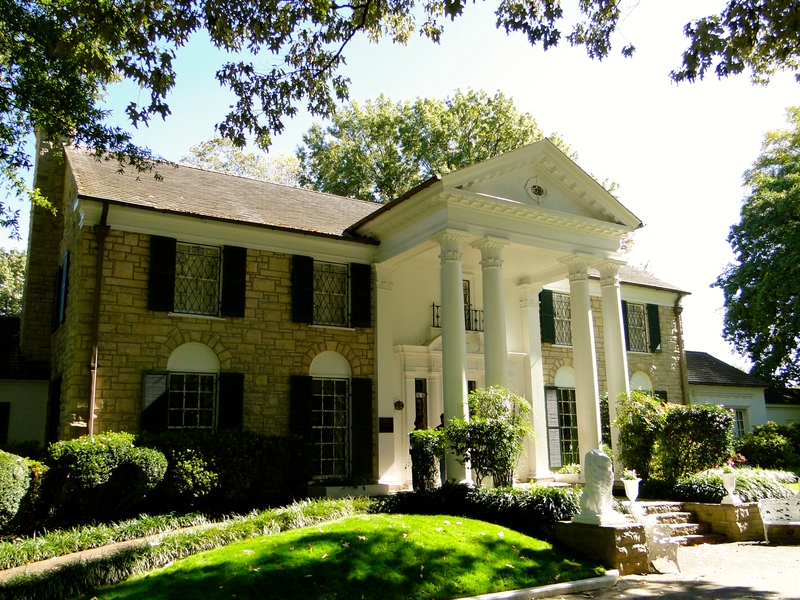 I enjoyed touring the house and listening and learning about Elvis and his life and glad we did go. 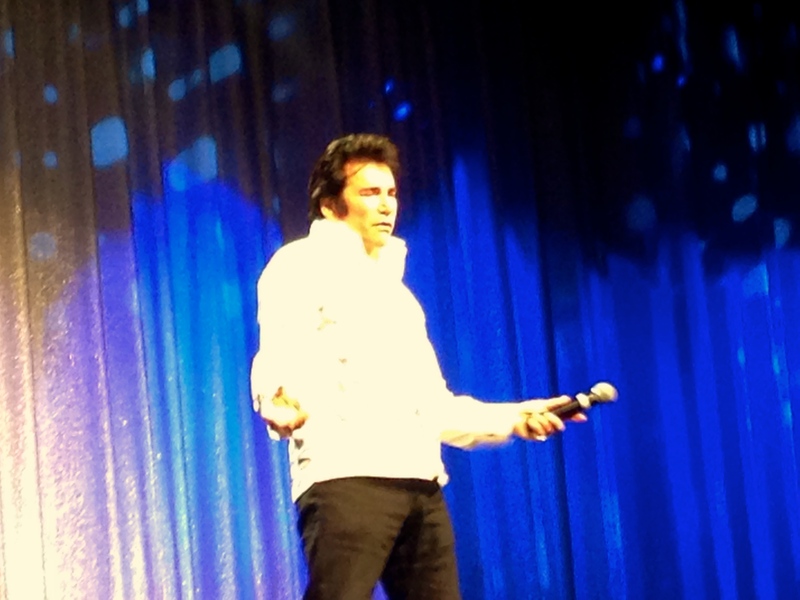 I may have to download some Elvis tunes! 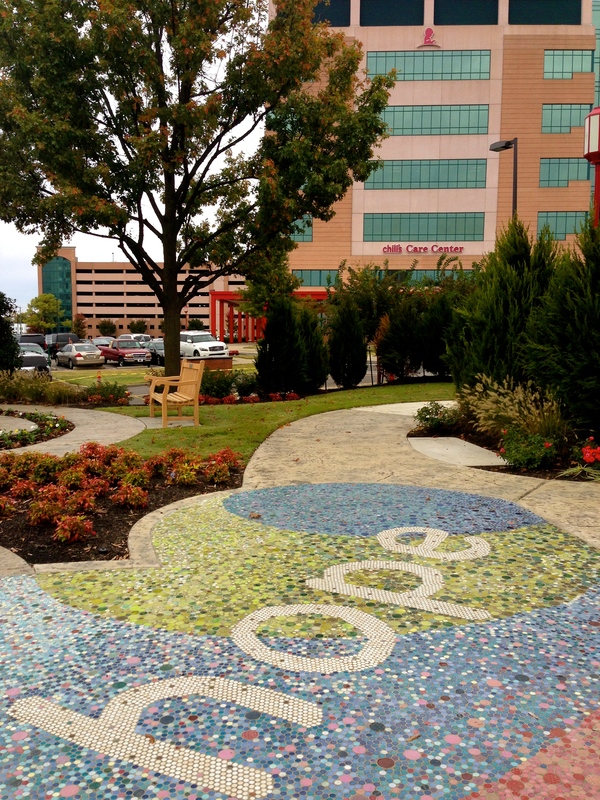 Another stop we made was at St. Jude Children’s Research Hospital. I have nothing but respect for St. Jude and what they stand for. I was here years ago to support good friends who were here under difficult circumstances and I wanted Mike to see it. We didn’t go inside the hospital, but did some shopping at the gift store and I really wanted to show Mike the Danny Thomas Pavilion, which commemorates the history and mission of St. Jude. Sadly, it was closed for a private event though. Another day, we hit one of the many famous BBQ joints for lunch. 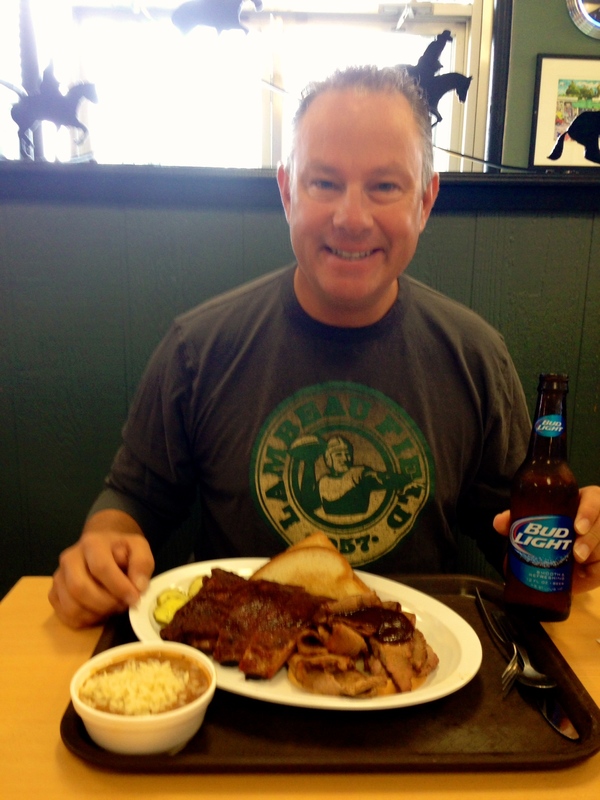 Mike had done some research and landed on Leonard’s Pit BBQ, open since 1922. He had ribs and I had a pulled pork sandwich. This place was different than other BBQ places we have been to, as it was a sit-down vs. order at the counter. Mike said his was a solid 8. 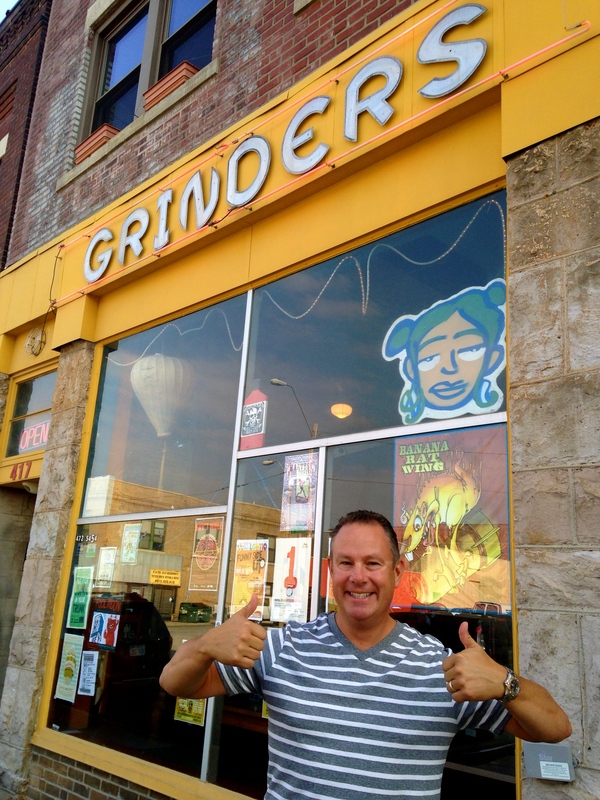 He is still looking for a place that lives up to Oklahoma Joe’s in Kansas City. Afterwards, we ended up in Midtown, a hip area with fun shops, restaurants and bars. We bellied up at Bosco’s for a local craft beer. 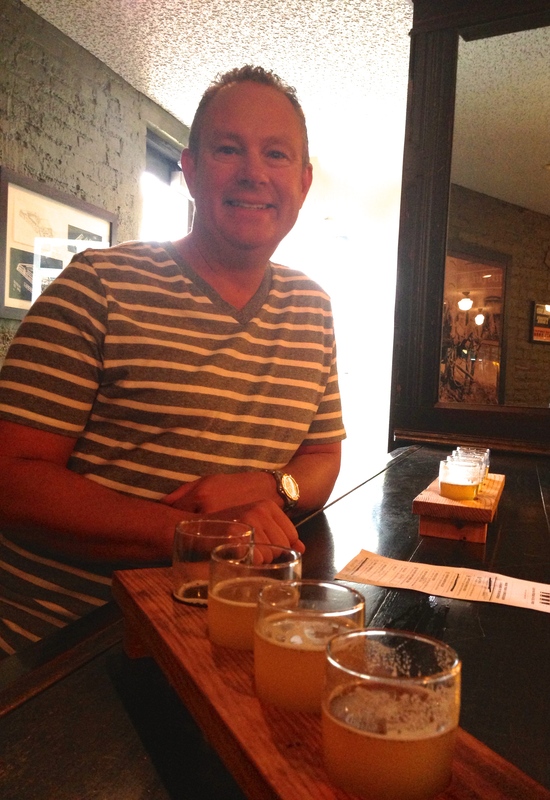 On the way back to the campground, we stopped at Wiseacre Brewing, the only brewery we could find in town. It was a sunny, Friday afternoon and it was pretty crowded with people hanging out on the patio and getting a start on their weekend. This has become pretty standard for us, looking for local breweries to try out. On our last Saturday morning, we hit the local Farmer’s Market. It was a perfect sunny morning with a lot of people out and about. 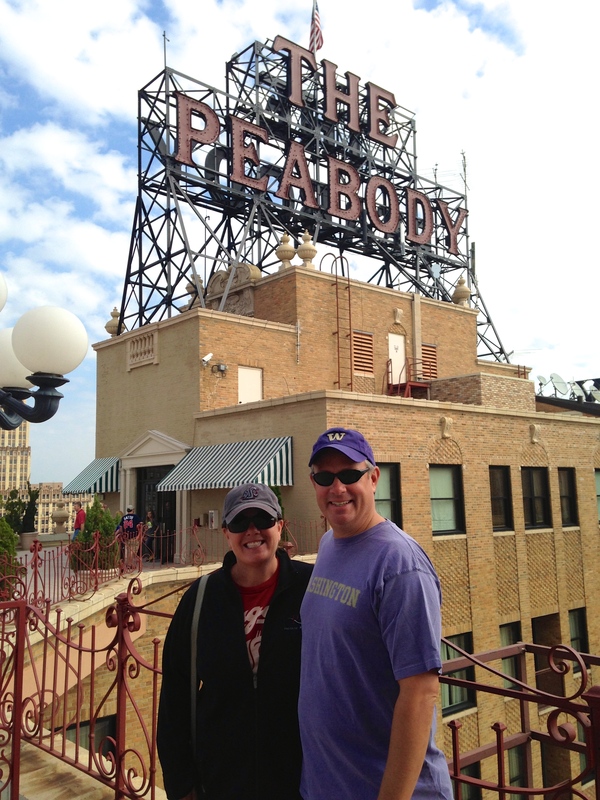 Then, we headed into town and the iconic Peabody Hotel. 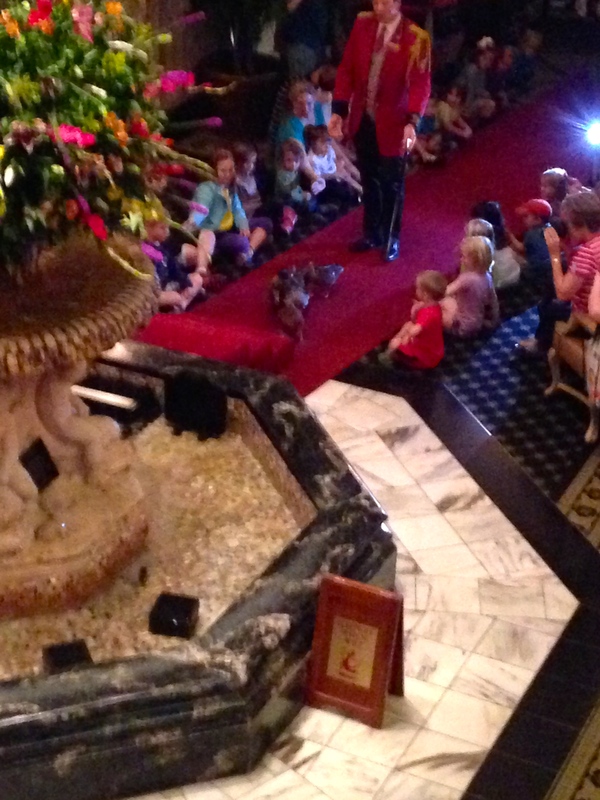 We got our spot on the Mezzanine level to watch the famous “Duck March,” a tradition since 1933. Read more about it here. The ducks are housed in a “palace” on the roof and at 11am every morning they are brought down and led along the red carpet into the fountain in the middle of the lobby. They are trained to stay there all day, then the ceremony is reversed at 5pm. The place was absolutely packed which just blew me away. It was a bit cheesy, but also a pretty ingenious marketing ploy, bringing people in from all over to drink and eat. It worked on us! After the ceremony we took the elevator up to the rooftop to see the duck palace and take in some great views, then to the bar for a Bloody Mary and beer. Afterwards, we walked around town and Beale Street, which is kind of like a mini Bourbon Street. It is a 3 to 4 block pedestrian-only area lined with bars featuring live music that spills out into the street. We were only there during the day a few times, so never really experienced the full nighttime vibe, but it seemed like a really fun area. Sidebar: I had my Coug shirt on and a man who was working the door at one of the bars stopped me and jokingly said, “What do you know about the Cougs?” I told him I was from Seattle and went to school there and he said that Michael Bumpus was his nephew and that he was in Pullman for an Apple Cup long ago. Gotta love Coug fans! Much of our time in Memphis (or West Memphis) was spent at the RV Park, just relaxing and enjoying the beautiful sunny weather. We rode our bikes along the paths, BBQ’d a lot and had campfires. 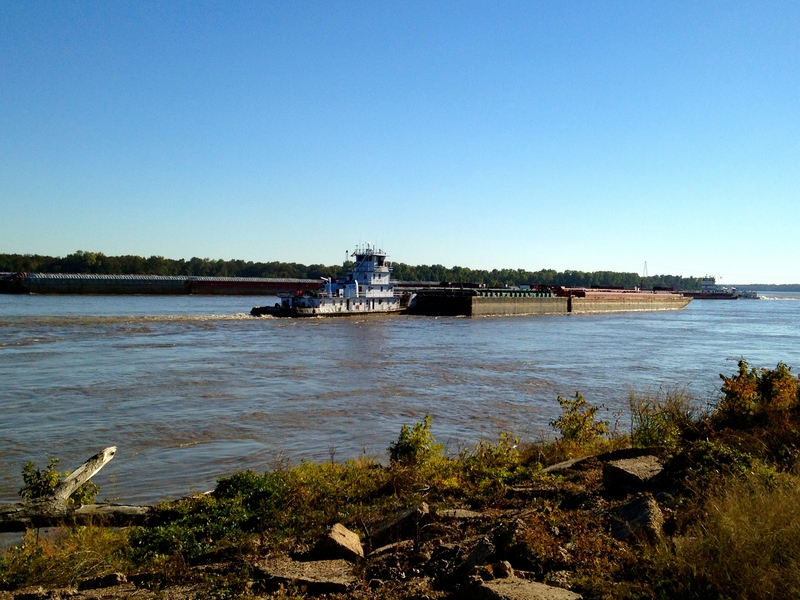 Mike really enjoyed all of the barge traffic and just being right on the river. It was a great setting and one of our top five parks so far. And, they had free laundry – bonus! 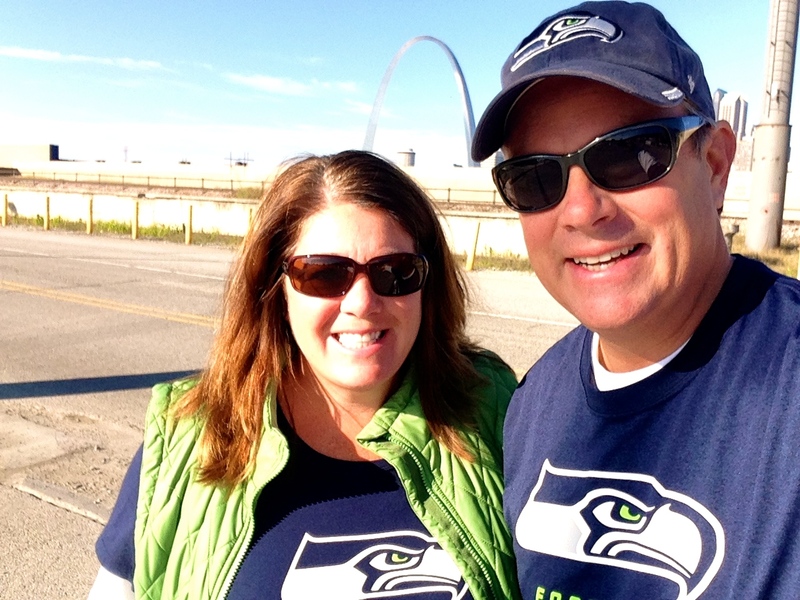 We left the park on a Monday morning (after the Seahawks squeaked by a win the day before!) and drove due west to Little Rock, AR. We decided to stay at a true campground (rather than commercialized RV Park) where it was first come, first serve on spots. Since it was a Monday and off-season, we didn’t think there would be an issue. We pulled into Willow Beach Park and had our pick of spots. 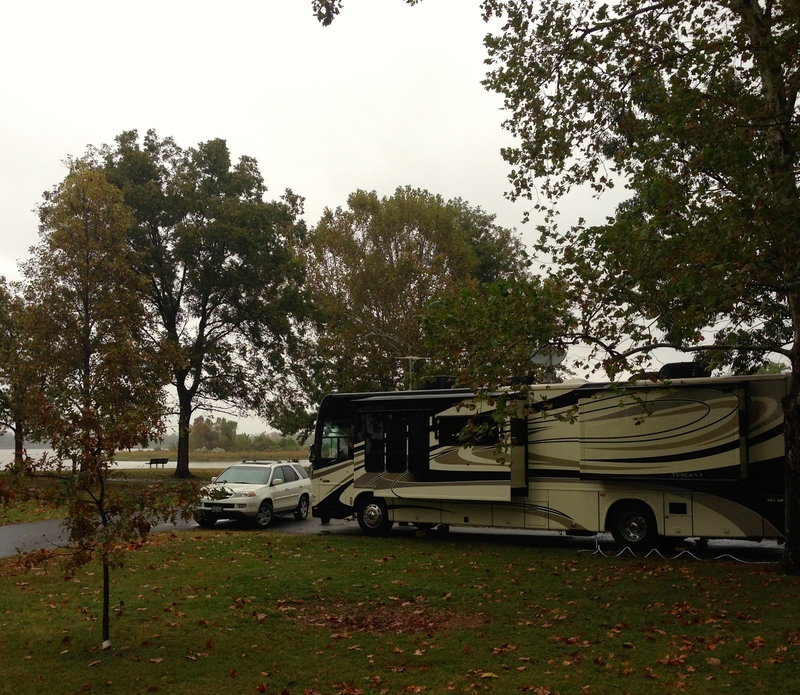 This was a very nice campground right on the Arkansas River with spacious sites and plenty of trees. For us, this translates as “no satellite” which we typically shy away from. But, for just two nights, we figured we could survive! It was a beautiful day, but a big storm was due to roll in the next morning, so we decided we better get out and explore. 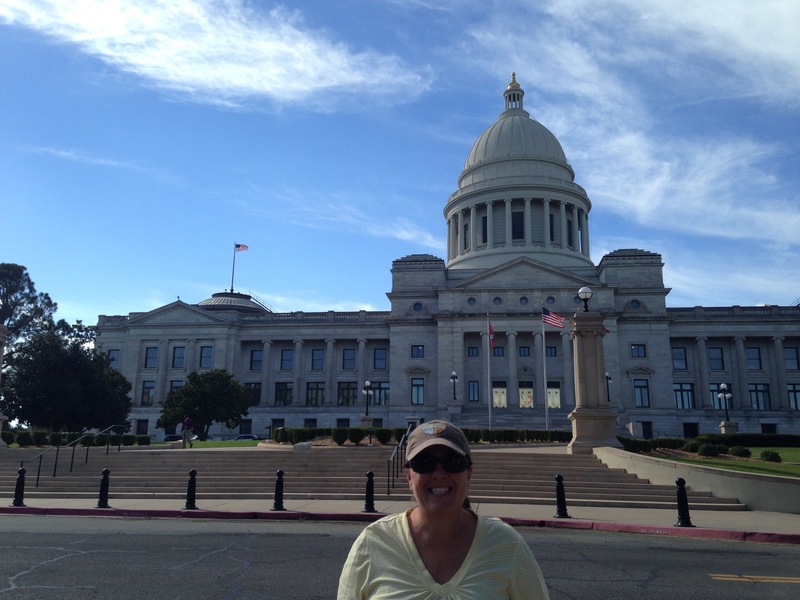 A drive through Little Rock didn’t peak much interest for us, but we did stop at the capitol building for a few pics. Although it is the largest city in the state, it seemed quite small and pretty quiet, maybe chalk it up to a Monday afternoon. We opted to hit the grocery store and come back to the pretty setting of the campground and cook dinner and enjoy the evening at home. By 5am the next morning, the predicted rain had arrived and it was a nice day to watch movies and catch up on some computer stuff. Next stop is Jackson, Mississippi. Willow Beach Campground, Arkansas River in the background. Fall has arrived! This is the point in our journey that we were planning to turn right and start making our way back home to the Pacific Northwest. But, after much discussion and some friends asking us why we would want to come home to the wet and gray winter, we decided to turn left. We’ll be making our way to Florida and plan to spend the last half of November through the end of February in the sunshine to cap off this amazing experience. At that point we’ll start to make our way back home, hoping to be there in April/May. It will be 2 years on the road at that point and time to figure out our next chapter. 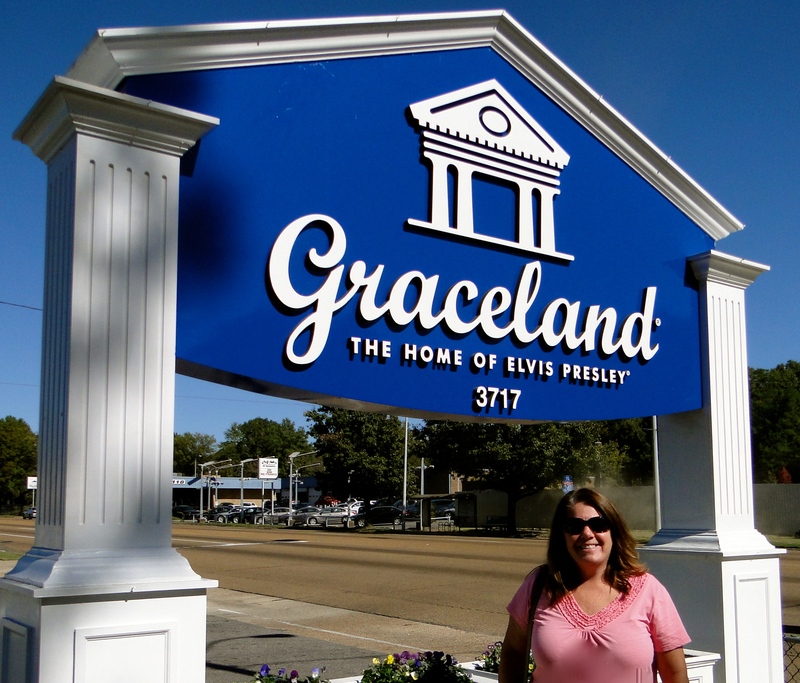 This entry was posted in October 2014 and tagged Arkansas, BBQ, Beale Street, breweries, Elvis, Graceland, Little Rock, Memphis, Mississippi River, Peabody Ducks, St. Jude on October 29, 2014 by Traci. Site of the Oklahoma City Federal Building bombing. The reflection pool is where the road was and to the left (where the chairs are) is where the building stood. The 5th tree in is where the truck with the bomb was parked. The past week has been a bit uneventful and definitely hindered by the horrible weather. 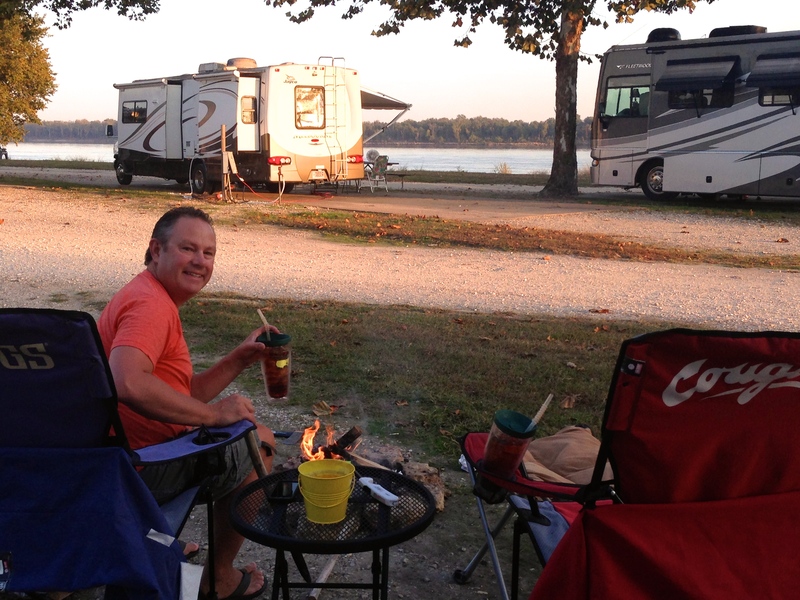 We didn’t have a lot of must-see’s planned and we had a hard time finding decent RV campgrounds in the area. I am looking at this time as a transition period, trying to hit the last of our states and watching a lot of football and baseball! 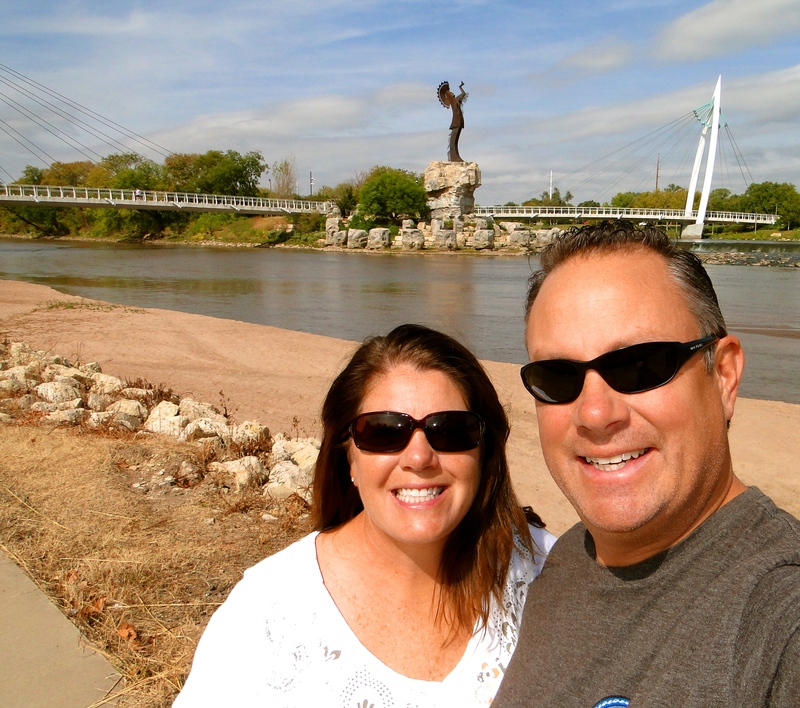 Our first stop was Wichita, Kansas. 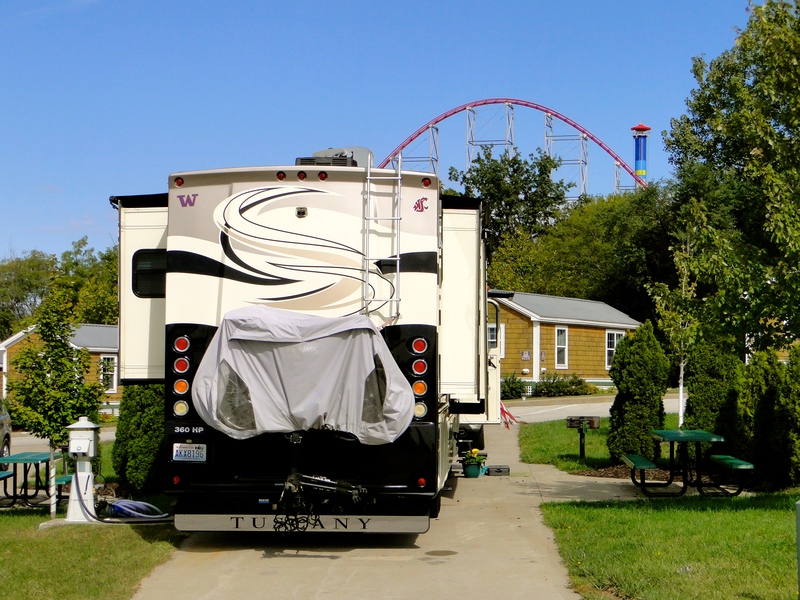 The Air Capital RV Park was mostly full of long-term residents but it was a newer park and in a good location. We only booked 2 nights here and that was all that we needed. We drove by the Boeing and Spirit AeroSystems area and wow, there were some huge buildings and complexes that just seemed to go on and on — a huge aviation presence here. 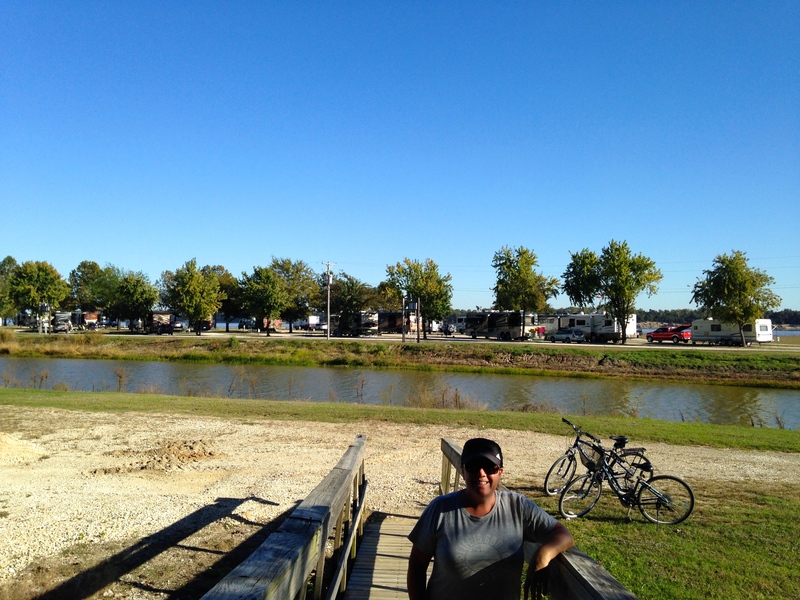 In town, we stopped along the river walk where the Big and Little Arkansas Rivers merge into one. 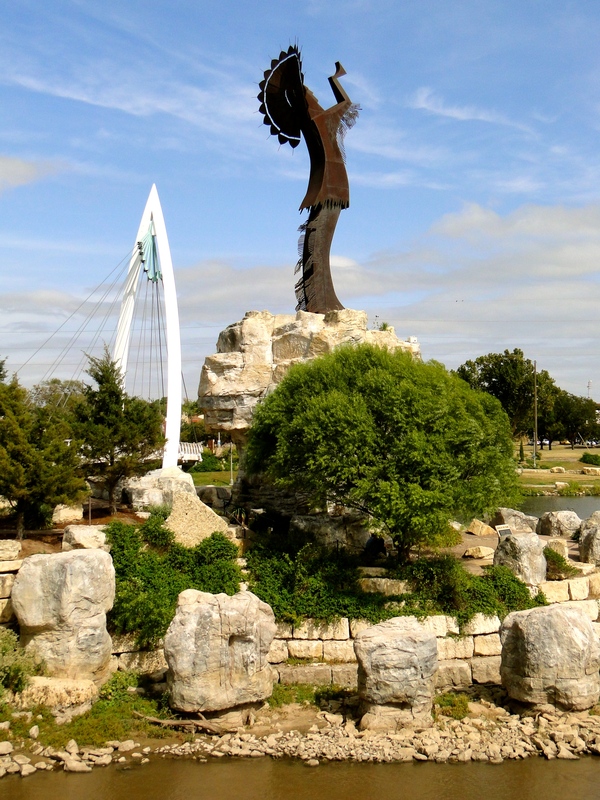 The Keeper of the Plains statue watches over this area in tribute to the Native American tribes who consider this a sacred site. A pretty neat spot to walk around. We also visited Old Town and stopped at a brewery for lunch. This seemed like a fun part of town, but fairly deserted on a Wed. afternoon. Next up was Stillwater, Oklahoma, a very short drive south. 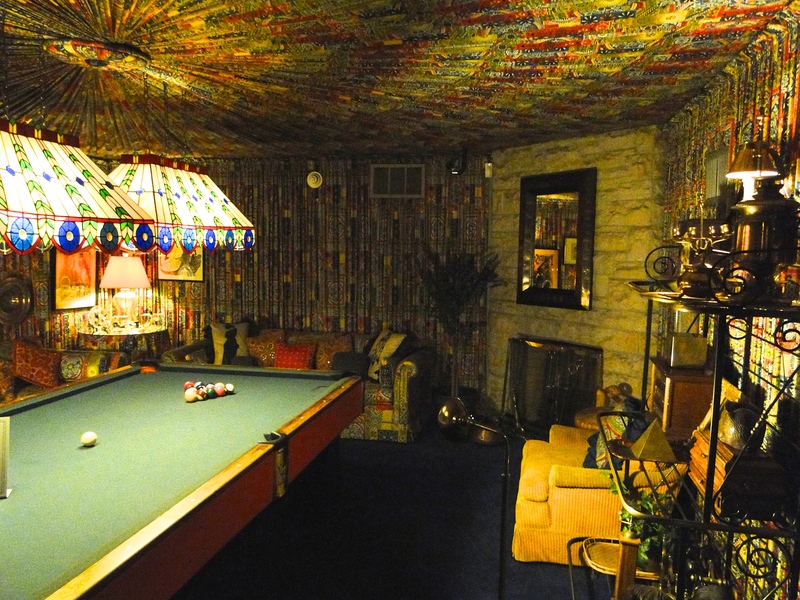 Stillwater is home to the OSU Cowboys and we thought it would be fun to stay in a college town. The problem was that there weren’t a lot of RV Parks to choose from and we ended up at Cedar Crest RV Park, which was a bit sketchy. When we called, they only had one spot open, as the rest were full time residents who work in the oil production industry or fans who leave their rigs parked full time for football games (no home game while we were there). The park was probably the worst we have stayed at in my opinion. We got set up in 90-degree hot/humid weather then headed into town. It reminded me a bit of Pullman, a true college town (population 45,000; enrollment 22,000) and it just popped up out of nowhere. Everything in town was orange/black with an OSU tie-in, which was fun to see. We went to Eskimo Joes for lunch. Back in the day when I worked at Holland America, I got a care package from someone in OK who I helped with a cruise and it was full of Eskimo Joe’s stuff, which I thought was so random at the time. Now I get it, because this place is such an iconic spot. That night the heat and humidity turned into one of the worst storms we have been in. The lightning flashed and lit up the inside of the MoHo every 10 seconds complemented by crashing thunder and rain as hard as we have ever felt. This went on most of the night, which made for a pretty sleepless night as we can feel everything in the MoHo! 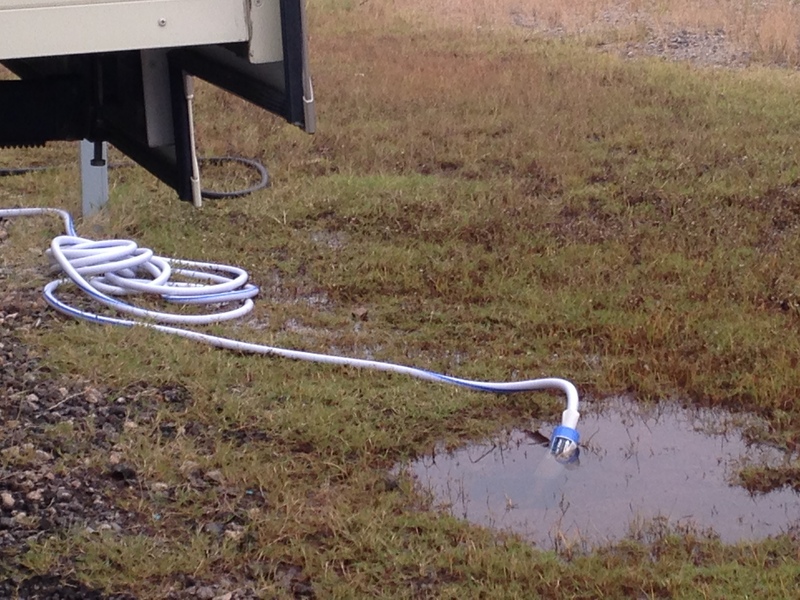 The next morning, the rain stopped but the park was flooded and muddy and our hookups were fully submerged underwater. We drove an hour south to Oklahoma City for the day. 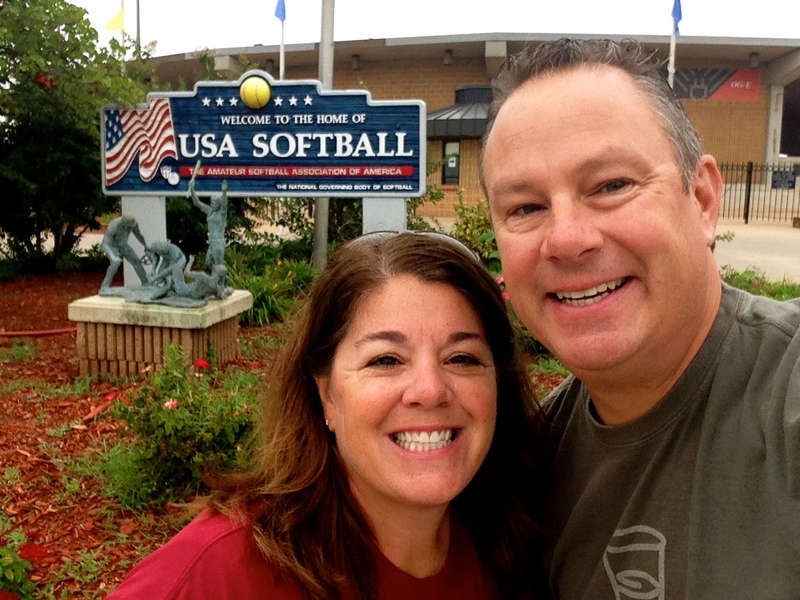 First stop was at the ASA Softball Hall of Fame/Stadium where they hold the World Series of Softball every year. It was under a bit of construction so we weren’t really supposed to be there, but a very nice worker took us up to the stadium and let us take some pics. 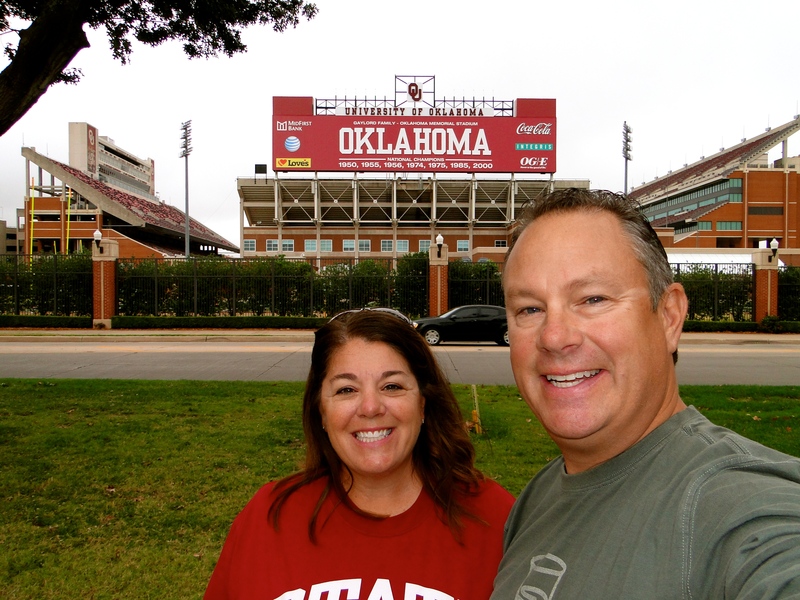 Next, we drove about 15 minutes south of downtown to Norman where the Univ. of Oklahoma is. I am still bitter at that darn Sooner Buggy from the 2003 Rose Bowl. But, I must say the campus was very cool and looked to be a great place to go to college. 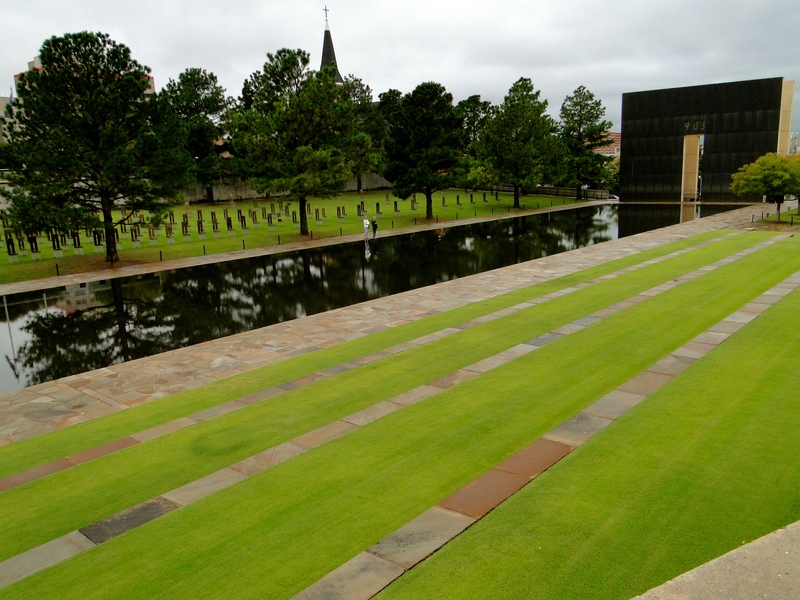 Next, we headed to the Oklahoma City National Memorial & Museum, site of the bombing at the Murrah Federal Building in 1995. We thought it was very well done and I found the empty chairs for all of the 168 victims to be very impactful. They were placed in 9 rows, signifying which floor the victim was on when they were killed. Large chairs for adults; small chairs for children. As we walked back to the car, the skies opened up and the rain just unloaded. We just don’t get rain like this in Seattle. We headed down to the Bricktown area, which seemed like the fun entertainment district with stadiums and bars/restaurants. We ended up at Toby Keith’s I Love this Bar and bellied up for a delicious Linner as the rain continued outside. 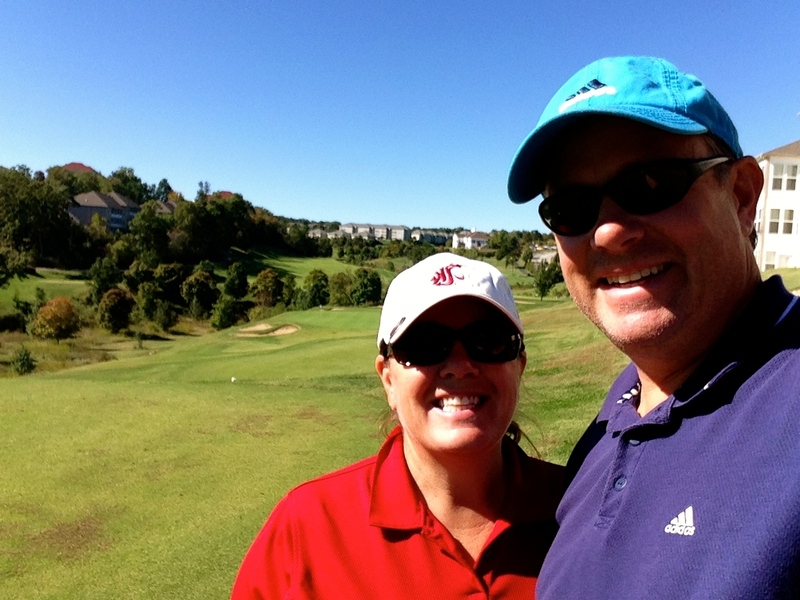 We headed back to the MoHo and watched the Cougs lose to Stanford. Saturday morning, it was college game day, so we thought it would be fun to head back into Stillwater and find a place to watch a few games. We ended up at Buffalo Wild Wings and were shocked to find that they allowed smoking in the bar. We opted for a seat in the restaurant and enjoyed the action on a gazillion big screens and joined the hometown crowd rooting for OSU. 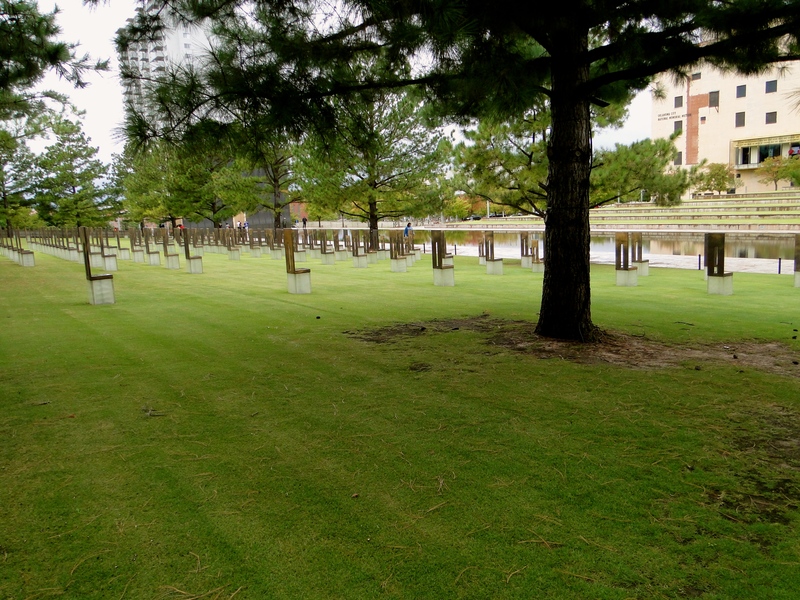 Looking back at the site of the Murrah Building. The chairs represent the 168 victims. The next morning we were ready to get on the road and move on to a better spot. Our drive to Tulsa was only about 75 miles, which is always nice. 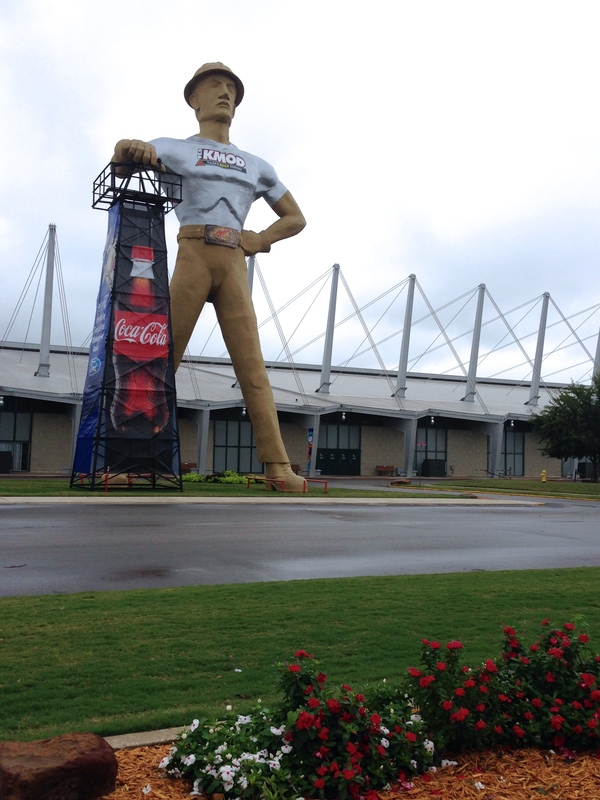 We opted to stay at the Tulsa Fairgrounds/Expo Park. We have done this in other cities and the tradeoff is that you are basically in an asphalt parking lot, but the location always seems to be perfect. Our stay was only 2 nights, so not a problem. As we got set up, we had a few issues come up. The jacks were acting up again, one of the rear slides was having trouble and our water hose broke; the joys of a traveling home. We hit the grocery store and decided to stay in to watch the Hawks. The bad weather was following us, so an afternoon in sounded good. 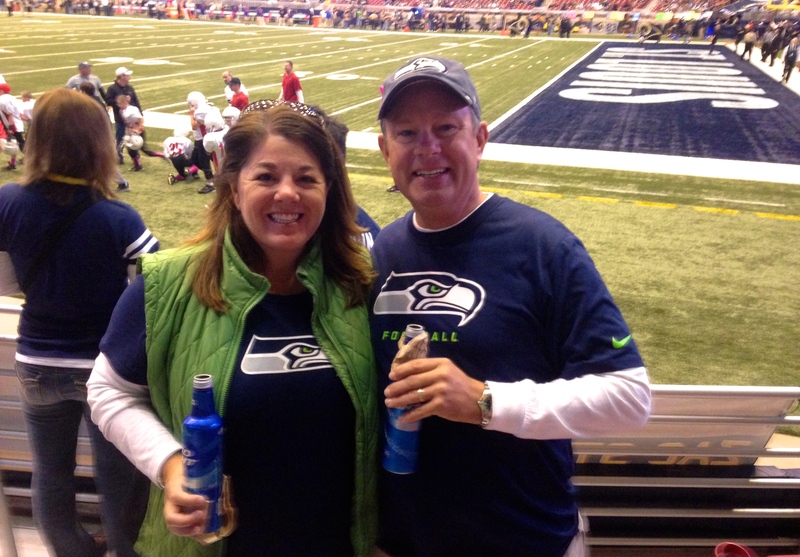 Unfortunately, the Hawks didn’t play well and lost to Dallas. We watched a few movies and listened to the wind and rain all night. 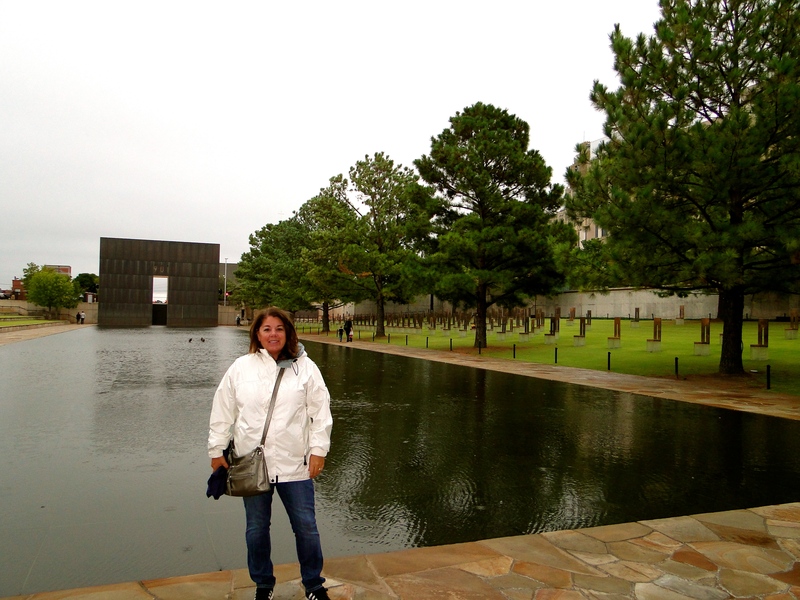 We had a full day to explore Tulsa, but the weather just wasn’t cooperating. And, the MDX battery was dead. We knew this was coming because lately when starting the car, it just didn’t sound very good. We had a neighbor jump us, then Mike was off to Sears to replace it. We got a late start, but with the monsooning rain, there wasn’t really much to see. 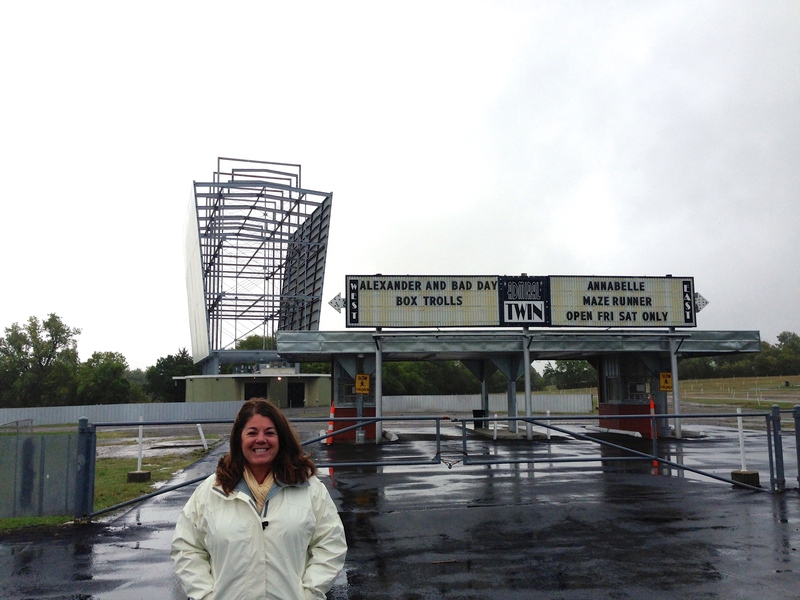 I learned that one of my favorite movies, The Outsiders, was filmed in Tulsa, so we drove out to the Admiral Twin Drive-In where some of the scenes were shot. Then, we drove through the downtown area, which looked like it could be interesting with all of the different districts, but with the rain, just didn’t seem inviting to be out walking around. We decided to just take care of some errands and head back to the campground. The wind was rocking the MoHo most of the evening. 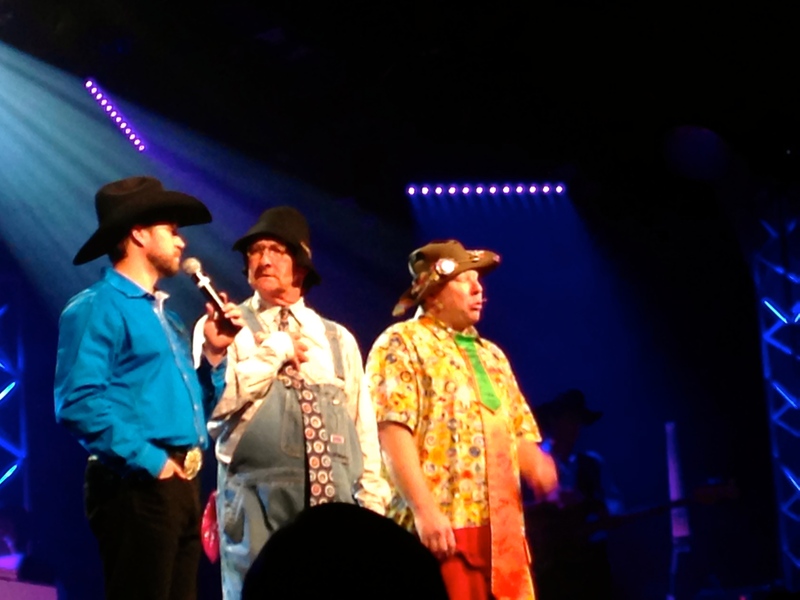 Good news is that it looks like the weather is past us, and the sun will hopefully be shining in the morning for our trip to Branson, Missouri! p.s. 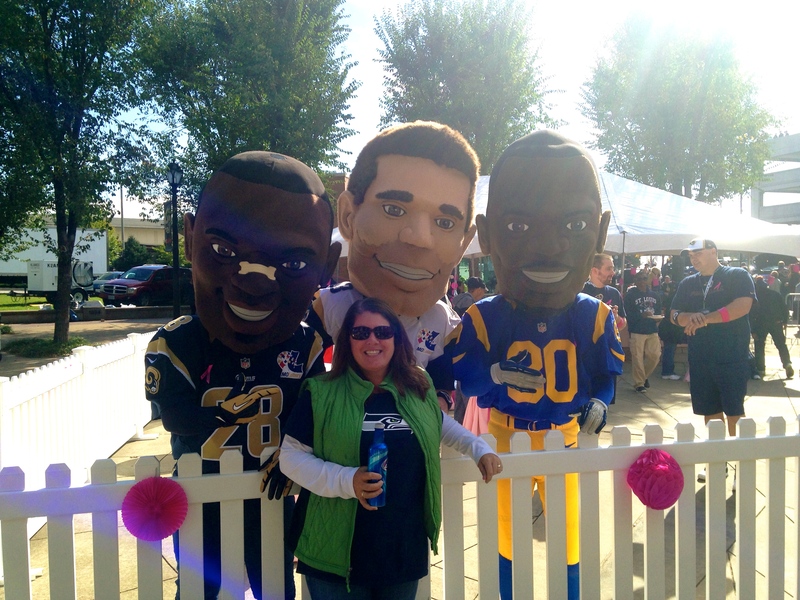 As I reread this post, I realized I sounded a bit like a negative Nelly. I guess this just shows that this adventure isn’t always perfect. There are good stops and bad stops and we try to make the most of each one, but not always ideal, especially when the weather is as bad as it has been. 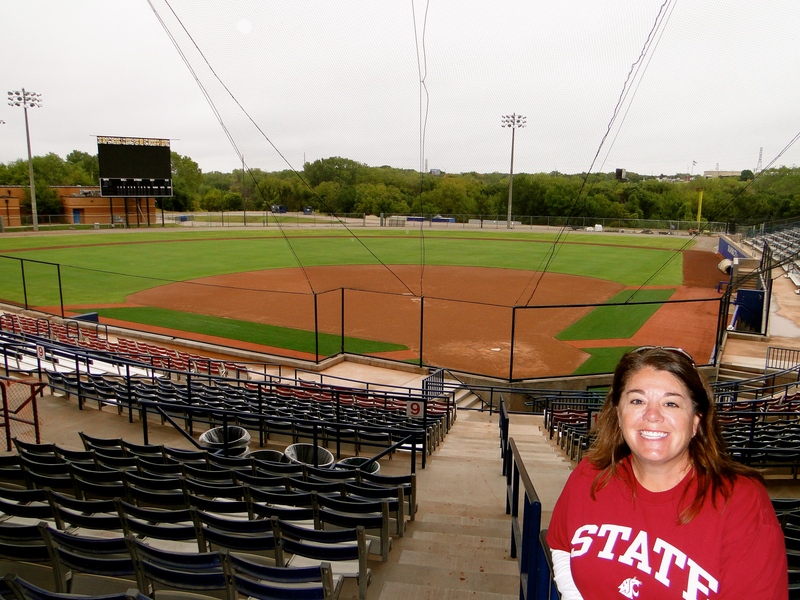 This entry was posted in October 2014 and tagged ASA Softball, Eskimo Joes, Keeper of the Plains, Oklahoma City memorial, Stillwater, The Outsiders, Tulsa, Weather woes on October 14, 2014 by Traci. 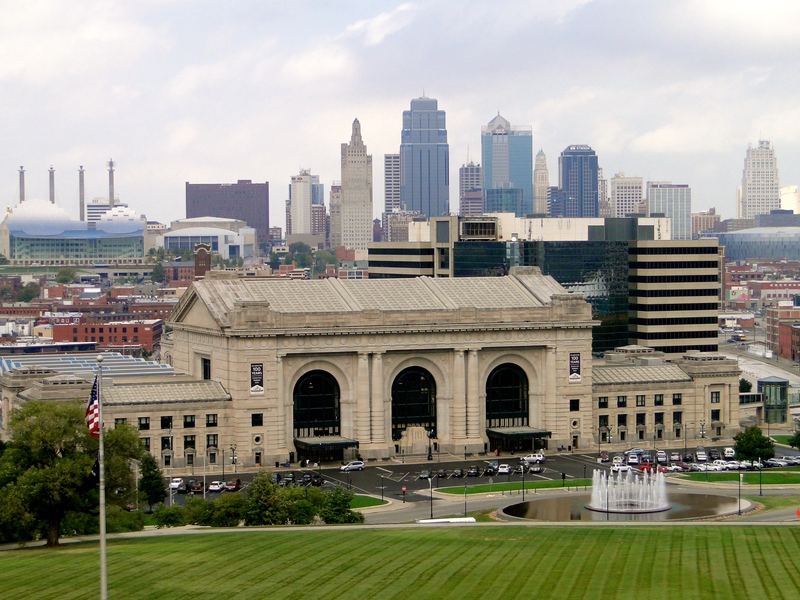 Kansas City has a great skyline and sits on the western side of Missouri, bordering Kansas. 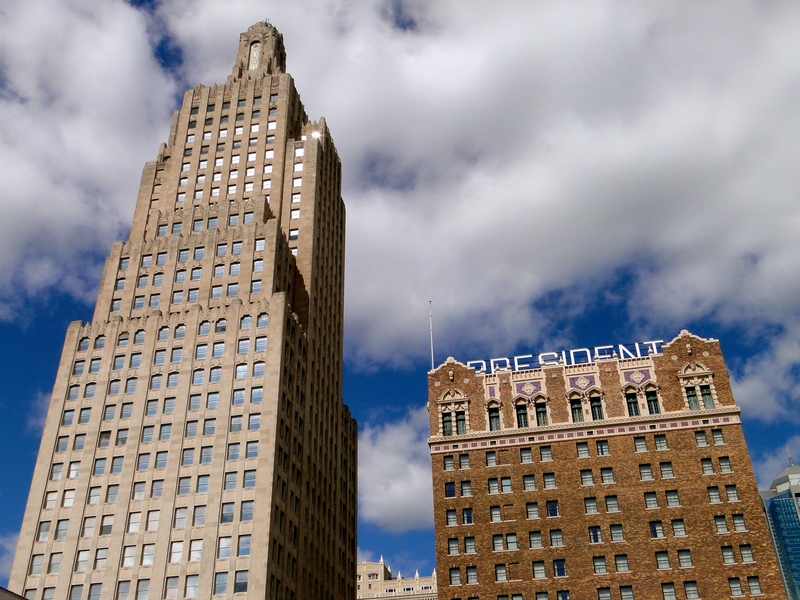 There is also a Kansas City in Kansas, but the one in MO is where we spent most of our time. 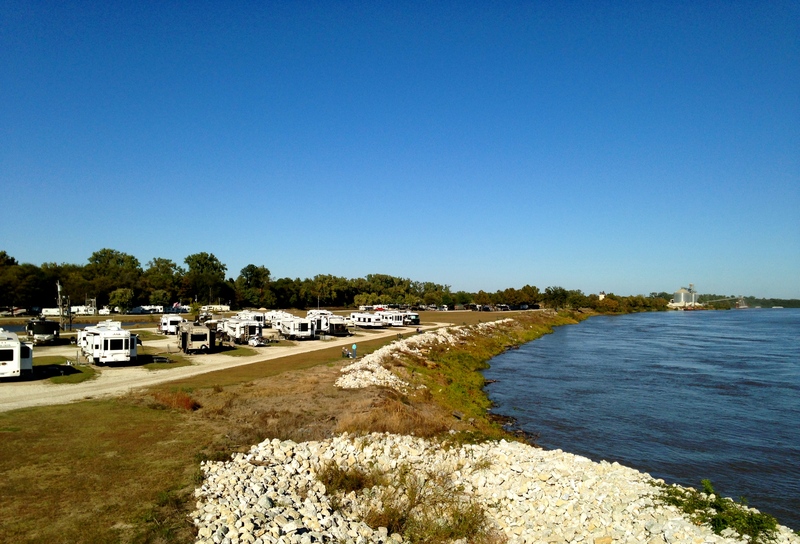 The mighty Missouri River runs along the border of the two states, making for a great setting. We explored the downtown area on a few occasions with highlights being the historic Union Station (celebrating its 100 year anniversary), the Power & Light Building (featured in a Batman movie as a Gotham City skyscraper) and the four Sky Station sculptures atop the convention center. 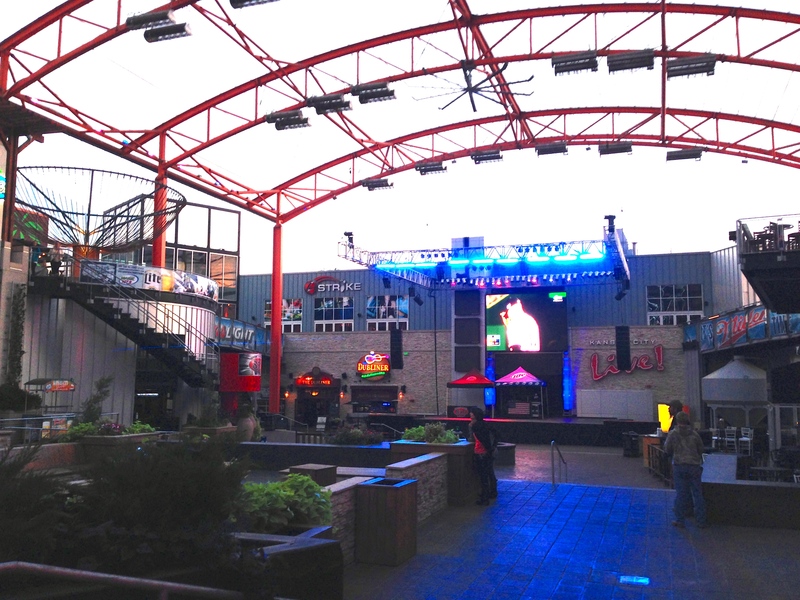 Downtown is separated by neighborhoods and we found the Power & Light District to be the most fun with tons of restaurants and KC Live, an outdoor entertainment venue. We also visited the City Market, a huge outdoor market (kind of like Pike Place) and loaded up on fresh fruits & veggies! 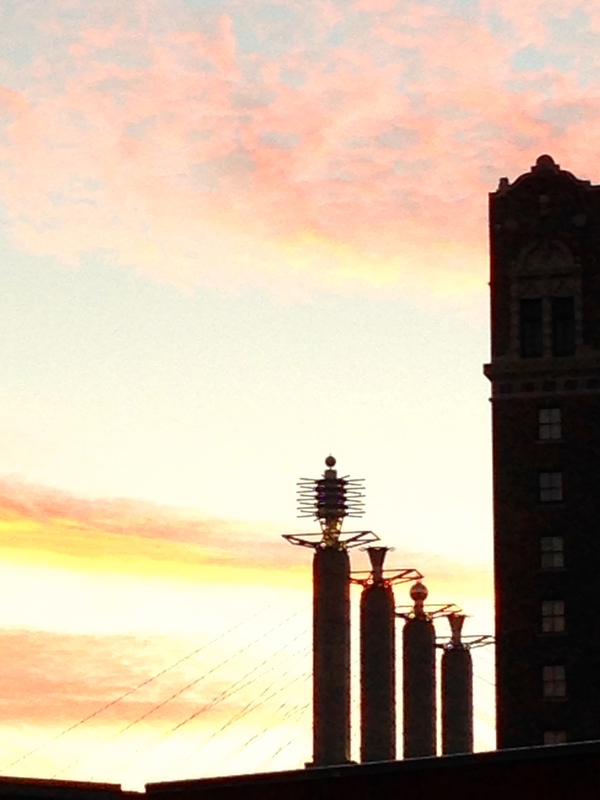 Who knew that KC was the BBQ Capital of the World? I didn’t and honestly thought it was probably Texas. 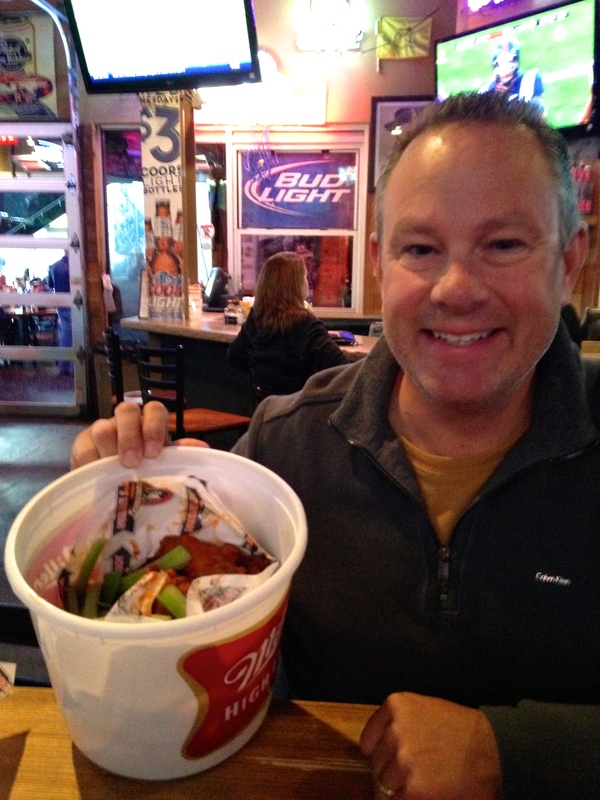 I am not a huge BBQ lover, but it ranks up there with wings for Mike. We tried a few different places; Oklahoma Joe’s being the best by far. It was located inside of a gas station, random. Mike’s quote after finishing his beef brisket/pork rib combo plate: “If I were on death row, this would be my final meal.” He said it was that good! Arthur Bryant’s was also a good one and located in the Jazz district. As I mentioned above, our neighbors in the RV park film BBQ competitions around the country and apparently the one in KC, American Royal, is one of the biggies. Turns out they were short on judges (they needed over 500), so he asked Mike if he would be interested. The timing was horrible, as we had already bought our NASCAR tickets (see below), so he wasn’t able to partake. It would have been a pretty cool experience. Happy with his Oklahoma Joes BBQ! We loved that this was such a huge sports city. We really miss that part of being at home. Although we get behind our teams from the road and fly our flags proudly, it just isn’t the same. We visited all stadiums, but unfortunately not for any games. Arrowhead, home of the Chiefs shares a parking lot with Kauffman Field for the Royals, kind of like Safeco Field and Century Link in Seattle. It was fun to be in town for all of the excitement of the Royals making the playoffs and sweeping the Angels. 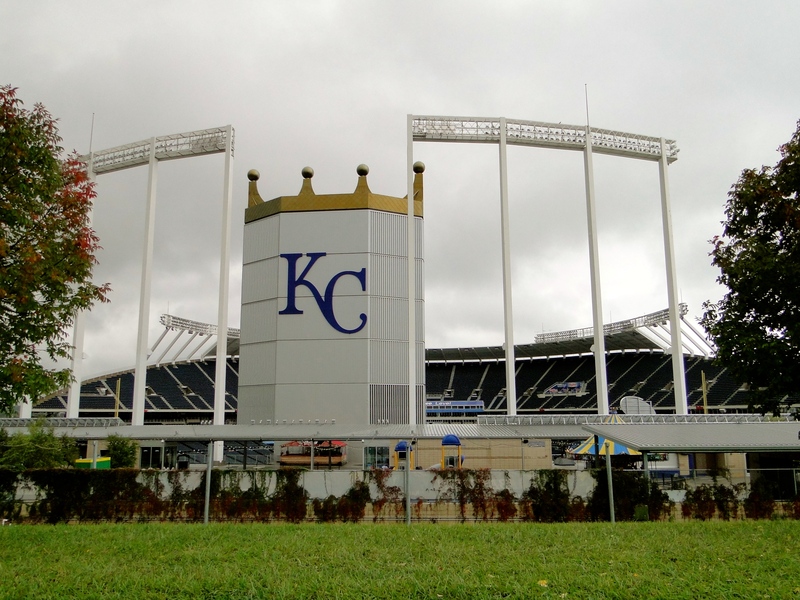 Sporting Kansas City, the soccer club, has a dedicated venue just for them, which we haven’t seen before. It definitely makes for a more intimate setting, but not as many seats available. Our timing just didn’t work for any live events other than the Royals, but the tickets were just too expensive. There were some great breweries here, the largest being Boulevard Brewing. It is a staple in every bar/restaurant in town. We also found some smaller ones that were fantastic, Big Rip and Cinder Block. This has been a really fun thing for us, sampling local beer along the way. Mike is an IPA lover and I usually opt for the wheats or lagers. 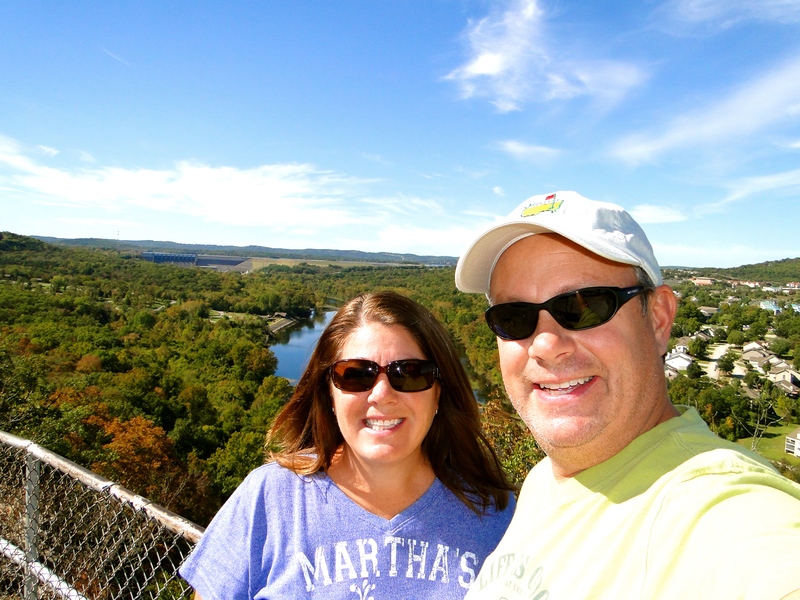 The Missouri and Kansas rivers run throughout the area and with that bring a variety of riverboat casinos, which of course we could not pass up. A funny moment one night was when I was at a 3-card table with 5 other people (Mike was gambling at another table). All of our phones went off at the same time with an emergency alert of possible flash flooding in the area. Crazy weather around here! The dealer proceeded to tell us, “not to worry, we are on a boat.” Classic. 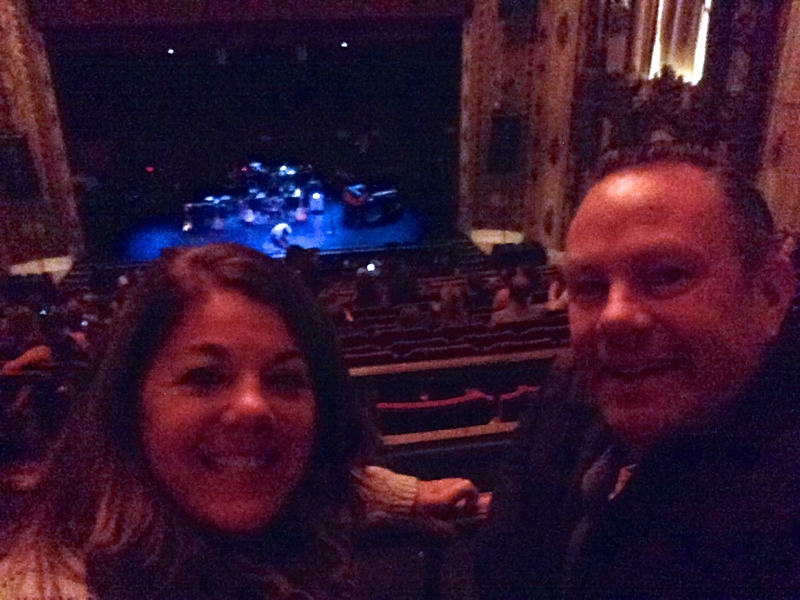 We happened to be in town when Phillip Phillips was playing at the historic Midland Theatre. This was a smaller venue (3,000ish) and an iconic site, reminded me a bit of the Paramount in Seattle. It was a fun night out for us and we actually dug into the closet for something other than shorts, t-shirts and flip-flops. We started out at Johnny’s Tavern in the Power & Light District for dinner, then a drink at the Indie, then into the show. It wasn’t sold out, so we were able to sit in some decent seats and take in the concert. There was an opening act, singer, songwriter from Portland, OR who played for about 45 mins. Then Phillip took the stage for about 90 mins. He reminds us so much of Dave Matthews, who we love, so it was a great show. For the encore he came out in a KC Royals cap and the crowd went crazy! This has been on our bucket list for awhile and we had planned on Daytona last year, but it just didn’t work out. 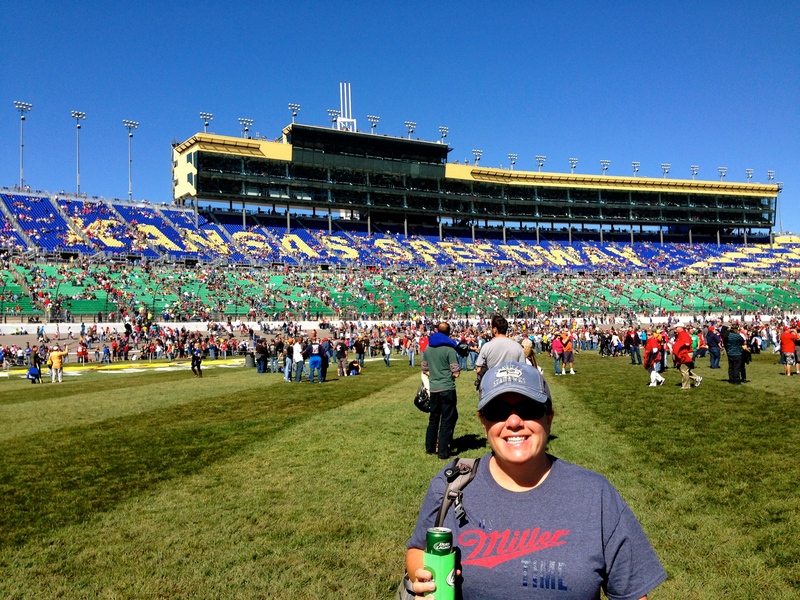 When we heard that there was a big race at the Kansas Speedway while we were here, we were all over it. 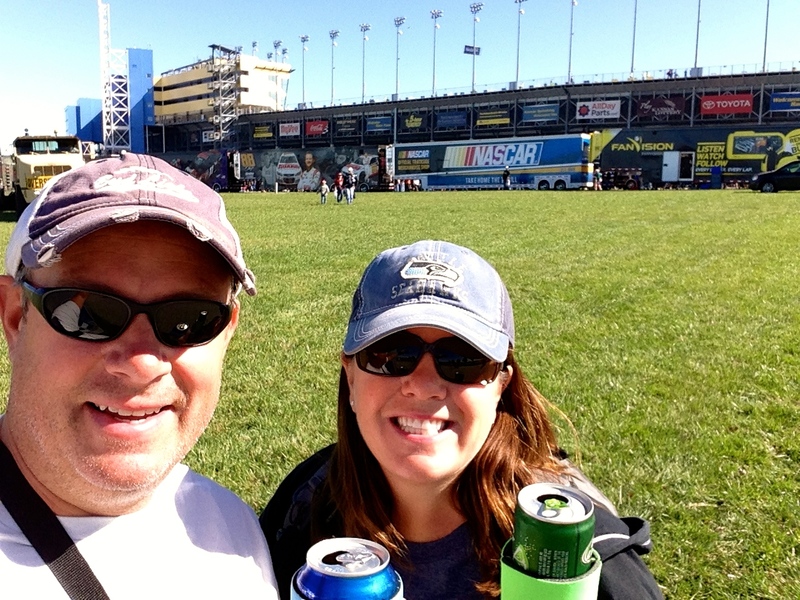 Neither one of us is really into car racing, but we just had to experience firsthand the nation’s most popular sport. 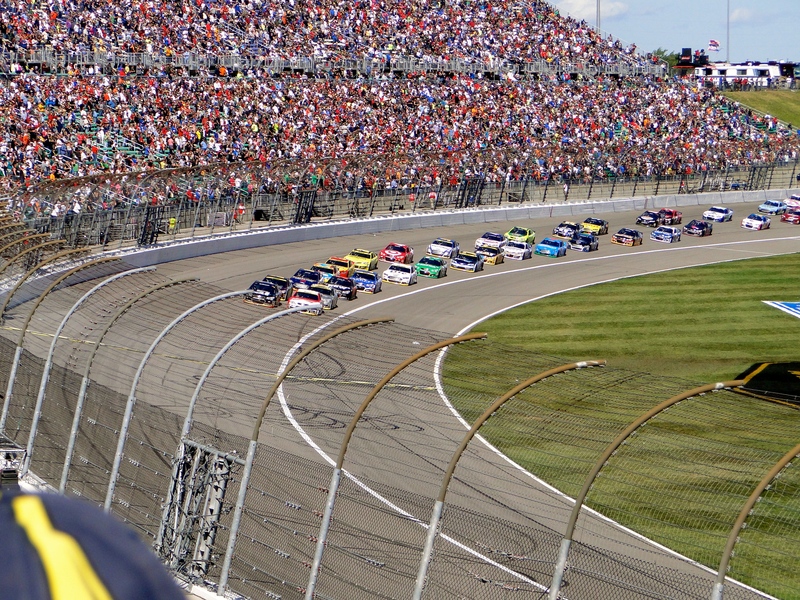 It was Sunday and the weather was perfect and here we were with 80,000+ racing fans. 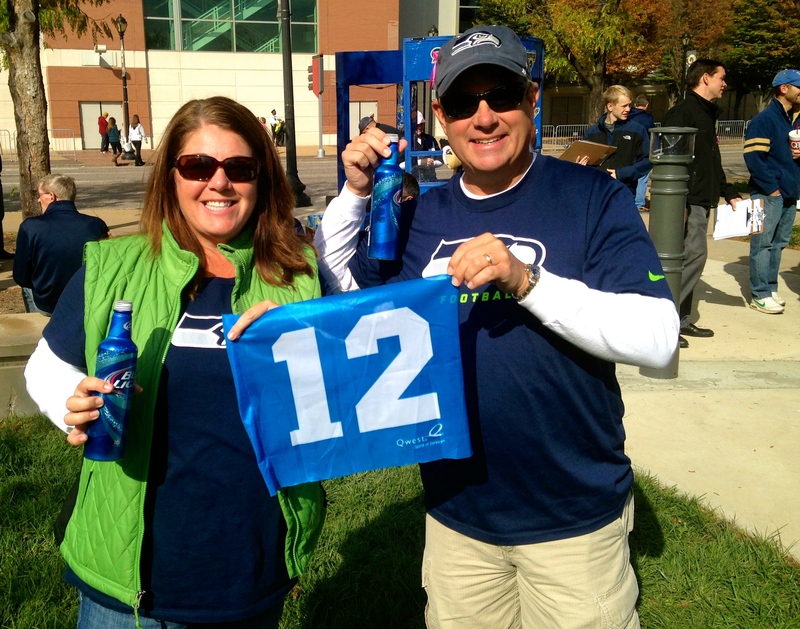 These people are serious about who they support and decked out in all the gear. We did our best and donned beer shirts and hats. This is the only sporting event we have ever been to where we could bring in our own cooler of beer. We literally walked through the gates with icy cold ones in hand. Crazy! We also learned why this is the most fan-friendly sport. We were allowed down onto the track and infield prior to the race, there was a concert playing and we could see the pit crews and parade of drivers up close. After the festivities, the fans orderly made their way back to the seats and it was time to “start your engines.” All of the big drivers were in the hunt and I actually recognized quite a few names. We had great seats for all of the action and it wasn’t as boring as I thought. It was LOUD so we did buy earplugs, but there was a lot of action to watch. Also, the cars go by much faster in real life than they do on TV. Literally, they were a blur going by. 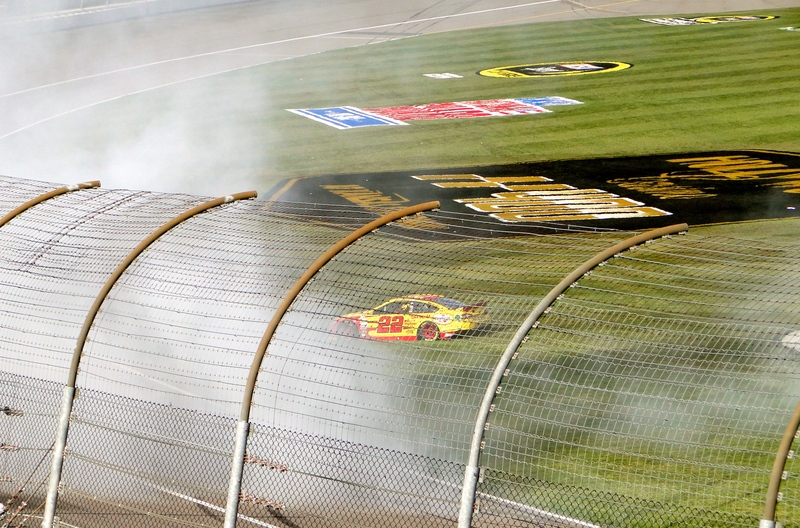 After some of the bigger names were out due to crashes, #22 Joey Logano brought home the victory and before we knew it 267 laps and 3 hours had gone by. Not sure that we will go again, but really glad we had the experience. I am adding this highlight in for Mike. It continues to amaze us how volatile the weather is, something we just don’t get at home. While we were there, we had temps ranging from mid 80’s to low 50’s. We had beautiful sunny days, then out of nowhere rain showers like we have never seen. And most evenings, a spectacular thunder and lightning display showed up. Weather boy is infatuated by all of this crazy weather and I have to admit, it is magnificent to see Mother Nature giving us her show! On our last night, we had our flag flying for Monday Night Football. 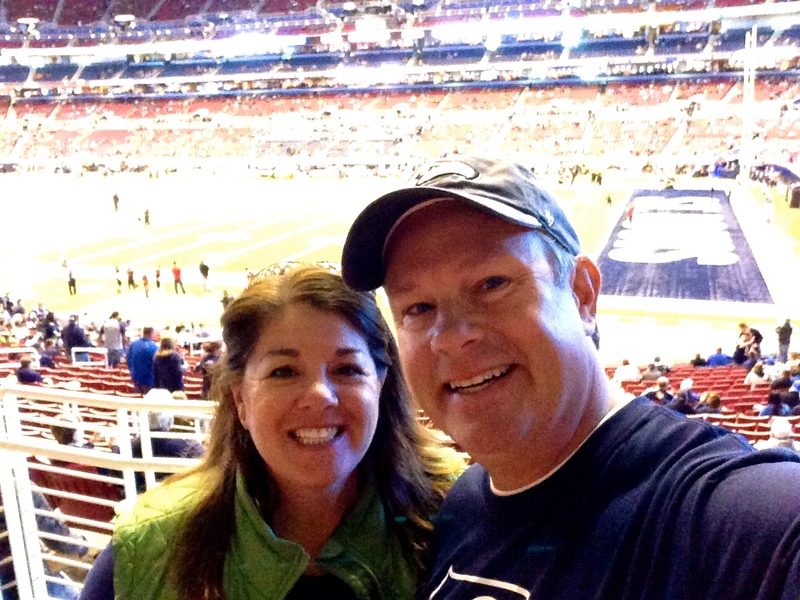 It wasn’t pretty, but we were relieved for a Seahawks victory! We are now looking at detouring up to St. Louis for the game on the 19th. Any takers to join us? 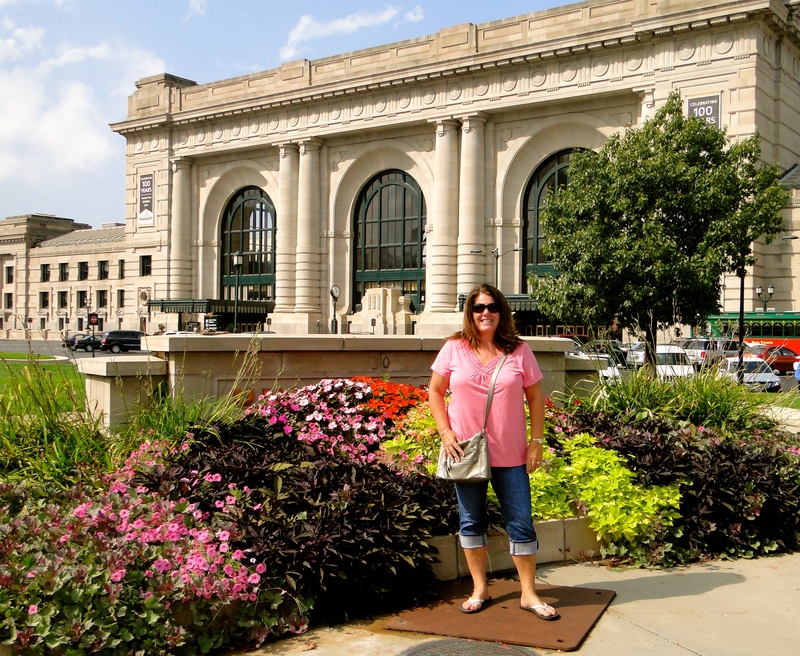 This entry was posted in October 2014 and tagged American Royal, BBQ, breweries, Kansas, Kansas City, Kansas City Sports, Missouri, NASCAR, Phillip Phillips, Riverboat Casinos, Royals on October 7, 2014 by Traci.